I drove up to Red Canyon Park yesterday morning and walked too close to a tree with this female Willamson's Sapsucker who flushed literally over my shoulder. She is so well camouflaged I had no idea she was in the tree until she flew out. I have in the past noticed hundreds of sap wells drilled by sapsuckers in the pinyon and juniper trees in Red Canyon Park just north of Canon City but though I have birded there in spring, summer and fall I have never spotted a sapsucker in the park. 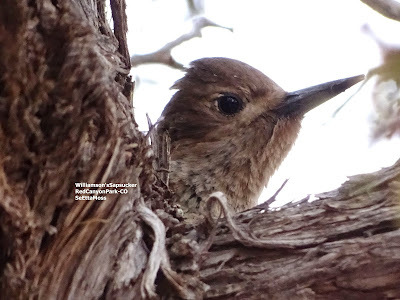 Since I found the first Williamson's Sapsucker in Canon City in the winter more than a decade ago many sapsucker have been documented overwintering in the Canon City area, a few other areas in the region, while most migrate south to New Mexico or further for the winter. 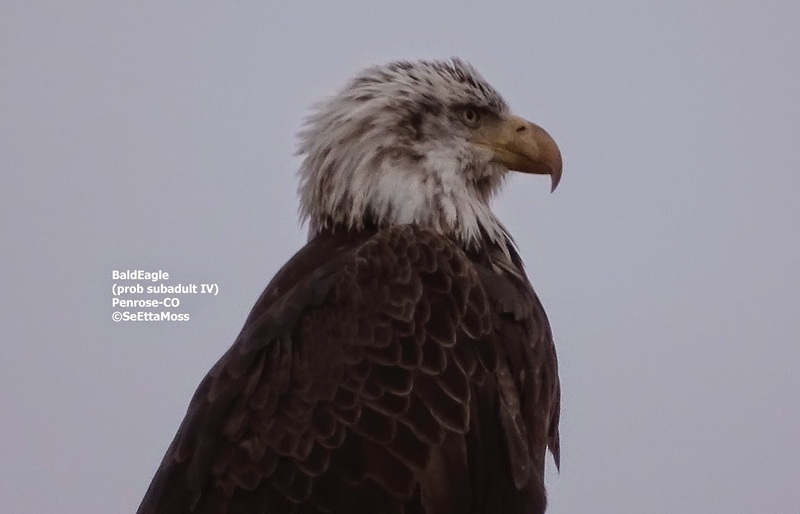 Though one bird does not confirm that this species overwinters in the pinyon juniper habitat of this park, it certainly seems most likely.